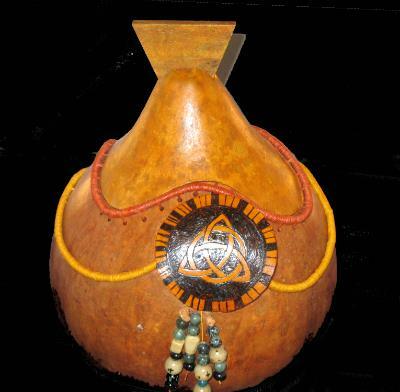 Rickie Newell holds an exceptional enthusiasm and passion for the pursuit of gourd art. ​She graduated from Southwest Texas State University with a degree in Theatre Education and pursued a career in teaching theatre. Upon retirement in 2010, she and her husband John settled in the Hill Country of Texas. 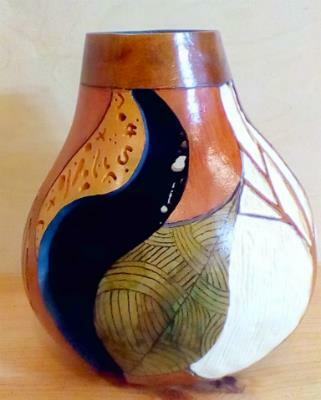 Even before the house was begun, the garden was planted, and gourds were growing for Purple Martin houses. 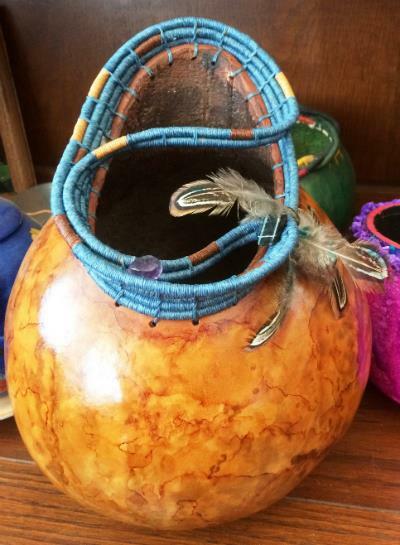 Soon more artistic use of those gourds came to her attention and a passion bloomed.Rickie especially enjoys carving gourds and embellishing a design with waxed linen closed coiling, pine needle coiling, or pyrography. She works most often with alcohol ink dyes and acrylic inks. 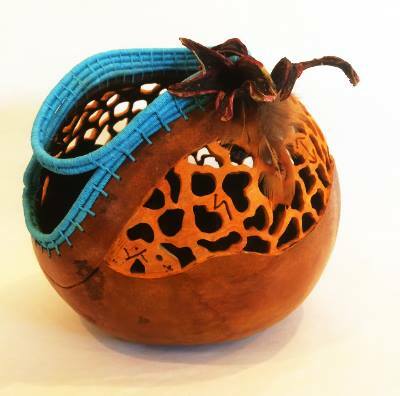 She likes the organic element of gourd art. 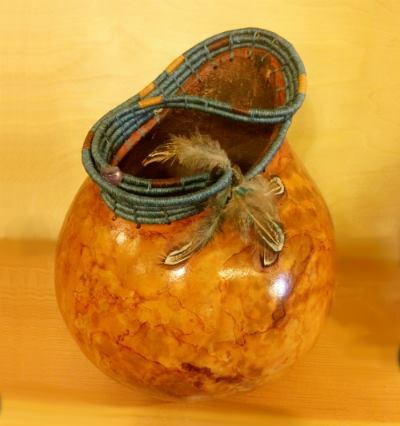 Because she grows her own gourds, she can watch them grow all spring, summer, and into the fall. Some of them have nicknames months before they make it to the worktable. 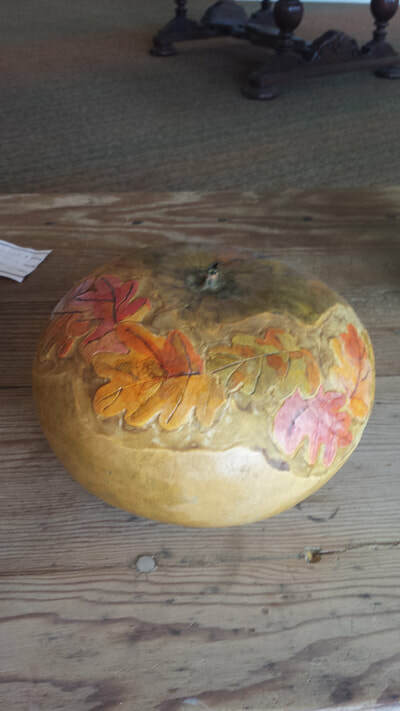 Her husband John has gone overboard and planted way, way too many gourds, so now they sell gourds from their farm outside of Llano. 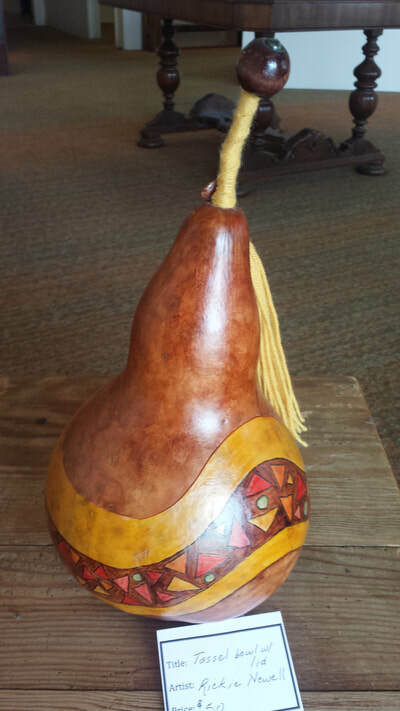 Rickie welcomes anyone to her porch to work on gourds. 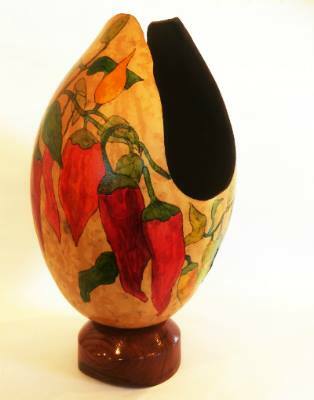 She is the editor of The Gourdzette, which is published four times a year on the website of the Texas Gourd Society. She and Don Sharp have founded the Hill Country Gourd Patch, which meets on the second Saturday of each month. She is the President of the Patch for 2018.